Duty Gear Separation: Reducing the Risks that Firefighters Face - Redstone Architects Inc. However, even if firefighters have not been involved in such a catastrophic and extensively destructive event like 9/11, where first responders worked on recovery for an extended period of time, (from September 11, 2001 until July 25, 2002) exposure to any fire-related recovery can increase a firefighter’s risk of cancer. Regardless of the type or size of the fire, wherever there is smoke, carcinogens are present. In general, firefighters incidences of cancer are between 20 and 100 percent higher than the average United States citizen. Cancer can result because of exposure to carcinogens left on firefighters’ turnout gear and self-contained breathing apparatus. Thus, the occupational hazard of carcinogen exposure needs to be considered when designing a firehouse. A firehouse is not just a firefighter’s headquarters: it also has to be a place where dangerous chemicals can be properly received and disposed after returning from a rescue. This affects the entire fire station’s design because the fire station needs to provide direct pathways to the apparatus bay, so that firefighters can respond quickly to calls, but if not designed correctly, these direct pathways can be direct pathways to carcinogens. Any room in the fire station where this gear is worn after returning from a fire-fighting site and stored can be contaminated with carcinogens, including the apparatus bay, decontamination rooms, and tool rooms. So, this means that high carcinogen contamination rooms should be kept separate from living quarters, and firefighters should have a separate room where they can strip and shower to clean themselves after returning from a fire-fighting site. Some stations have also opted to install saunas to help “detoxify” the skin as part of the cleansing process, but there are no scientific studies to back up this hypothesis. Part of this theory of fire station design involves three levels of exposure to carcinogens: areas where there is the most risk of contamination and exposure are called HOT zones, rooms with moderate exposure risk are called TRANSITION zones, and low exposure risk rooms are called COLD zones. Using this zoning method helps reduce exposure to carcinogens because it helps to contain the HOT zones to one area of the building. Other design elements that can help keep firefighters safe from carcinogens involves storing any potentially contaminated gear in a separate room from the apparatus bay. Separation of gear is important because the apparatus bay can further contaminate the gear because of exhaust and prevents any contaminated vapors from seeping into the living quarters. There are also other practical design elements that can prevent contamination: the HOT zones should have a distinct bathroom so that firefighters do not have to use the bathrooms in the COLD zones living quarters. There should be separate HVAC systems in the HOT zones and COLD zones: using one HVAC system could cause contamination through the air system. Additionally, uniform laundry rooms should be separate from laundry rooms for uniform gear. Proper ventilation from the apparatus bay is another way to keep firefighters safe from carcinogen exposure from vehicle exhaust. These design considerations have led to a reduction in the total number of on-duty, non-fireground injuries in recent years, but scientific studies still need to be conducted in order to fully understand how much the HOT zone separation theory reduces cancer and other disease risk. 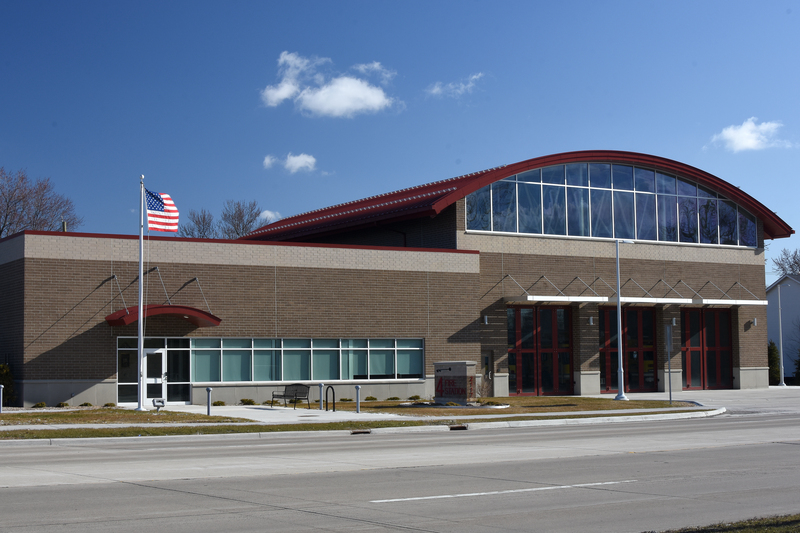 These critical safety design considerations are one reason why an architect who has experience with firehouse design should be consulted when a new or updated firehouse is needed. 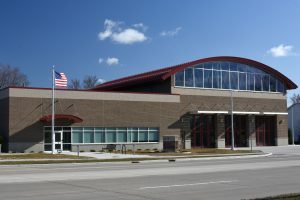 An experienced architect can work with the fire chief to evaluate the fire department’s requirements and create a needs assessment before the new firehouse is built. Taking these precautions can help reduce the risks for those who put their lives on the line to keep communities safe. Erickson, Paul. “Hot Zone design: Contain the Contaminants.” Firehouse. August 2014.